Jose Beyer launched the Westfield Chatter Facebook group on Jan. 4, 2014, to provide transparency on certain government issues. Beyer ran for town council in 2007 and city council in 2012, and during his campaigns he noted what he calls “ugliness” in the political world. However, comments and discussion on Westfield Chatter isn’t always civil or constructive, and Beyer said he tries to monitor the site as best he can and remove anything negative. Later, Beyer clarified that he places local politics on the site, but not national political posts. Beyer said a lot of the news the city posts isn’t always completely factual and only tells one side of the story. 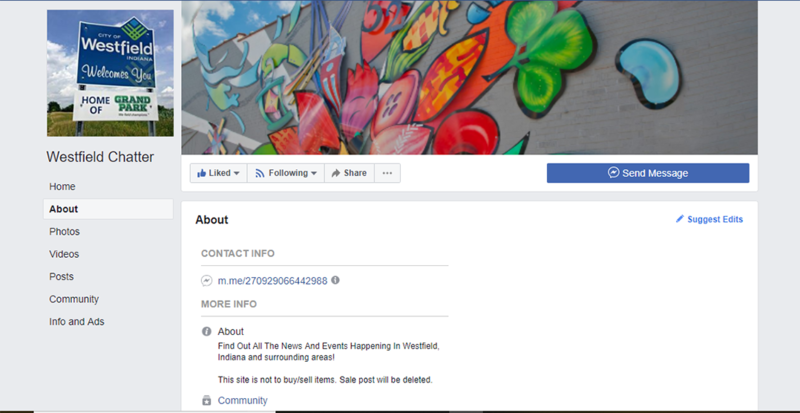 Vicki Duncan Gardener, communications director for the City of Westfield, said the city doesn’t engage in any Facebook groups or pages it doesn’t own. The city only manages the pages for the City of Westfield, Westfield Welcome, Grand Park, Westfield Parks and Recreation, Westfield Police Department and the Westfield Fire Department. Beyer said he gets his information from “reliable sources.” He cited fellow Westfield residents Brian Morales and Ron Thomas as sources he trusts. Westfield resident Curt Whitesell said Facebook groups can be an excellent avenue for citizens to discuss issues, but he said he believes Westfield Chatter is self-serving and hurtful. Whitesell said a certain responsibility comes with posting information on social media, such as being truthful. Whitesell, however, said he noticed some Chatter users getting blocked for disagreeing with certain posts. Whitesell was an early proponent of social media and calls it a “killer platform” for sharing information. He manages several Facebook groups regarding Westfield development. 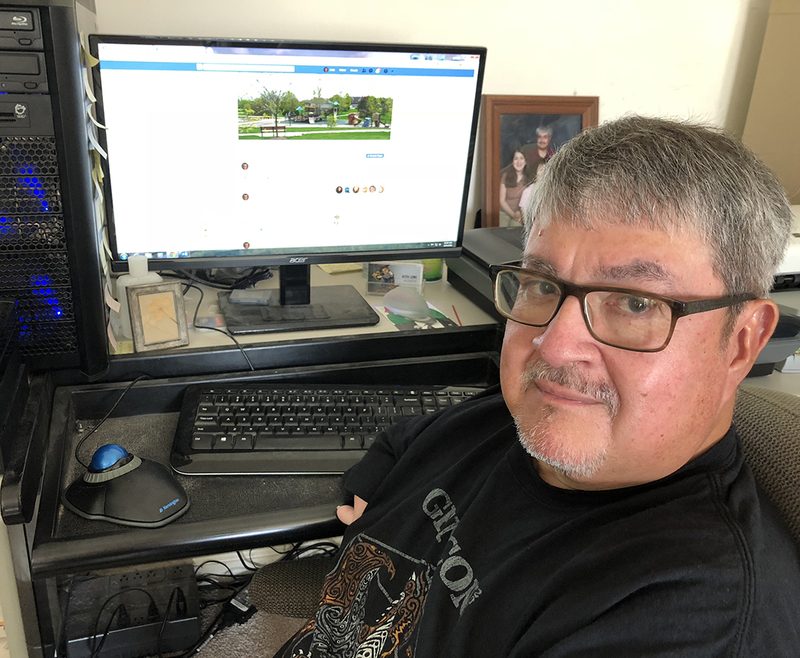 Although Beyer said he does his best to remove foul language and insults if he sees it, the Westfield Chatter group is inundated with information, and several posts have comments from users bickering back and forth, sometimes trading insults. Beyer said he can’t always monitor the page and usually learns of rude comments when someone points them out. He then gives a warning to the user. If it happens again, he said he removes them from the group. 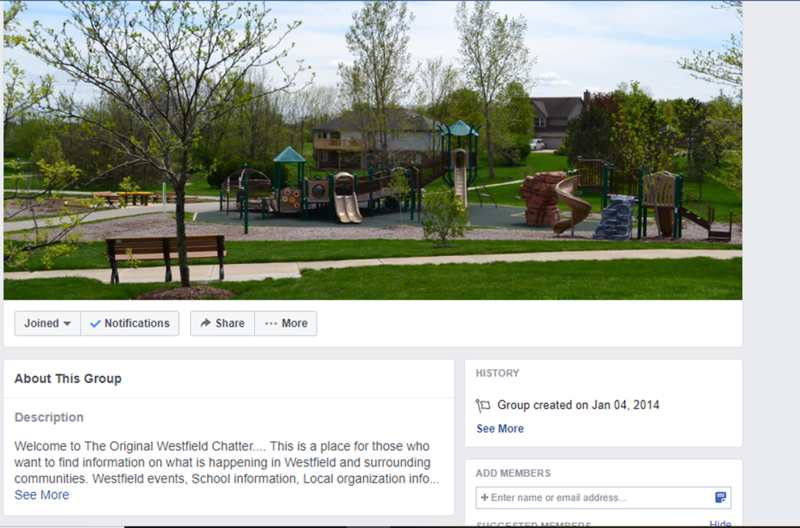 A similar page, Westfield Chatter Community, was established after Beyer removed several Westfield Chatter users for complaining that Westfield Chatter was one-sided. A screenshot of the Westfield Chatter group, which users must request to join and be accepted before they can view its content. A screenshot of the Westfield Chatter Community page, which users only need to “like” before they can view its content. Since Westfield Chatter is a Facebook group and not a page, the site is private. Users, who must complete a survey to verify they are from Westfield, request to be added. Beyer then approves or disapproves the request. A Facebook page is different than a group in that a user can just “like” the page and then view its content. Westfield Chatter Community is a page, so users only need to “like” it before they can see the posts. I have seen politically abusive content in this group. I have seen abuse and harassment in this group (and left up even after being reported to the admin). I have seen significant amounts of incorrect voter information in this group (and left up even after being reported to the admin) . I have seen vast amounts of personal attacks and even some borderline sexual harassment posts in this group (and left up even after being reported to the admin). I have seen foul and rude language posted in the group (and left up even after being reported to the admin). Yes, the page is one-sided toward the perspective of the admin, which is most certainly his prerogative, but he should not be representing it as an open forum for discussion. I expect to be removed from the group now if this is read by the admin, because I don’t hide who I am when I call stuff out.